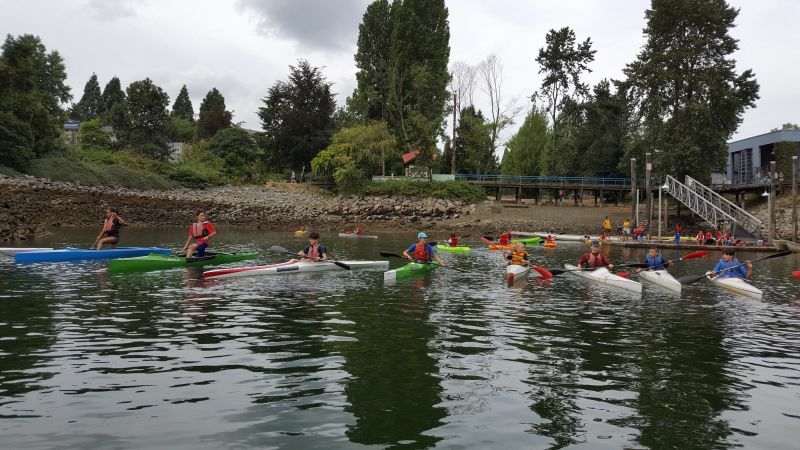 Located on Granville Island out of beautiful Alder Bay, the False Creek Racing Canoe Club offers Youth Paddling programs for dragonboat, outrigger, and sprint canoe and kayak. Our programs help kids develop optimally through stages, acquiring fundamental skills and progressively building on technical and physical skills in a fun environment. Opportunities to compete (local/provincial/national) are also available. At False Creek Racing Canoe Club, we've built our youth paddling programs off the nationwide Canadian Sport For Life Long-Term Athlete Development model, and more specifically, the CanoeKayakCanada LTAD Model. This model is designed to help kids develop optimally through stages, acquiring fundamental skills and progressively building on their technical and physical skills. We have something for all ages, skill levels, and interests in hopes of getting kids outdoors and on the water having fun and learning! Learn more about our programs at False Creek! Interested in False Creek Racing Canoe Club?